Abrasion resistance – Technical ceramics are very hard and resistant to abrasion. 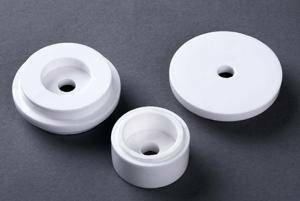 Alumina is ideal for the manufacture of wear-resistant inserts or products (e.g. mill or chute linings, cam discs, location or centering pins for welding, thread guides and friction discs for textiles, etc.). Thermally stable – Can be used in both oxidizing and reducing atmospheres up to 1600°C (2900°F) and in vacuum furnaces up to 2000°C (3600°F). Chemical resistance – Chemically inert and is not corroded by water or steam. It offers good resistance to strong acids and alkalis at elevated temperatures and is ideal for applications where resistance to corrosive substances is required. Alumina is often used for catalyst supports operating at high temperatures. It is also an obvious choice for pump and valve components when its excellent abrasion resistance is considered. 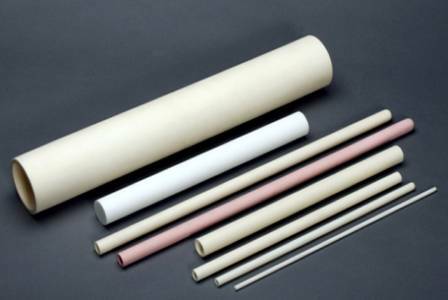 Electrical insulation – Widely used as an electrically insulating material, particularly the higher purity grades which have enhanced resistivity. It can be used for insulators operating at elevated temperatures (e.g. furnace lead-in tubes, fuel cells). Thermal conductivity – Excellent electrical insulator it has reasonably high thermal conductivity for a ceramic. It is often used as a substrate for semiconductors and high-performance heat sinks and thermal control products. 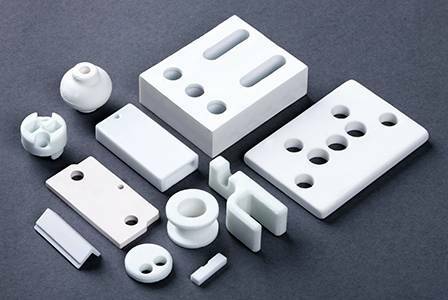 The strong all-around performance of alumina has long been proven in some demanding applications including the automotive, aerospace, defence, medical, electrical and heat treatment industries. Alumina is a highly flexible material when it comes to product development, and we are always working with design engineers and system manufacturers to come up with new applications. Alumina components can be threaded, perforated, rebated, slotted, hollowed or tapered to suit thousands of design and performance demands. Complex shapes are often achievable, and they also lend themselves to surface treatments where required, such as precision grinding and lapping. 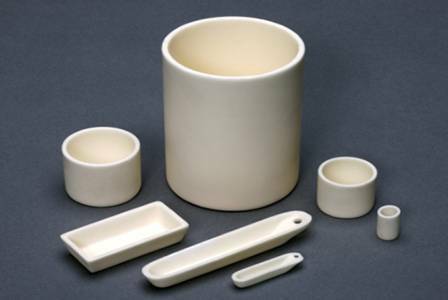 IPS Ceramics offers a range of premium quality alumina materials, from 90% right up to 99.7% alumina. If you have any further questions about alumina or any of our products or services, please don’t hesitate to contact us today for more information.